In the Factory configuration in the <entry> tag, the rsl attribute should contain condor_submit=('+Coresize' 'Unlimited'). NOTE: The coresize for the actual user job will be set to the available disk space, not unlimited. Also, you can make this change to global parameter or local parameter. 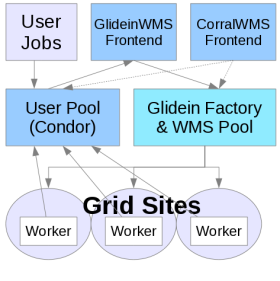 Refer the gwms-cloud-vms project page for more details.